After a journey lasting 10 years, the European Space Agency’s Rosetta spacecraft will send its attached “Philae” lander to land on the surface of Comet 67P on 12th November 2014. To celebrate this occasion, I have placed a 3D model of Rosetta to realistic scale on the Space City area in our OpenSim grid. This uses one of the freely available 3D models available from NASA. 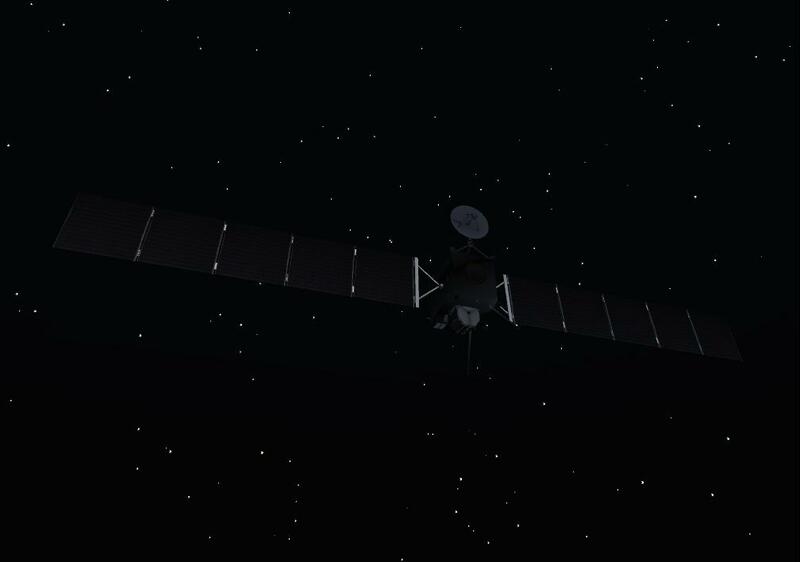 Visit Rosetta, along with Voyager, Deep Space 1 and other spacecraft in OpenSim on the Space City region on AiLand. This entry was posted in OpenSim, Space and tagged AiLand, OpenSim, Rosetta, Space. Bookmark the permalink.